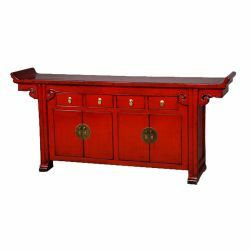 Customized: According to your desire, you will be able to order your chinese buffet with dimensions adapted to the interior of your home with the possibility of 5 variants of colours, red, yellow, black, blue and natural wood. 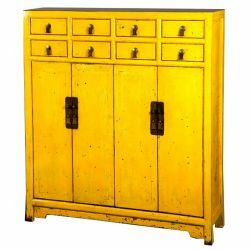 We will inform you when a free quote without commitment on your part. 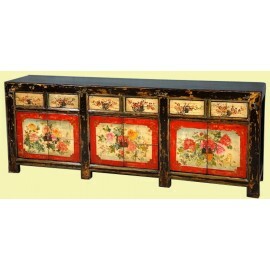 For the realization of this quote you must contact us at the following number : 04 75 47 49 96 or by e-mail : boutique@labaiedhalong.com do not forget to indicate your name and your contact information.The buffets that you will find in this section are reproductions of chinese furniture and adapted to our way of life. 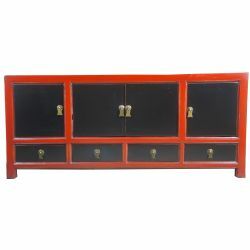 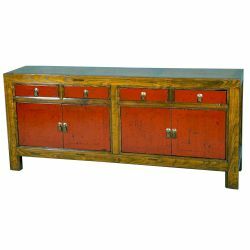 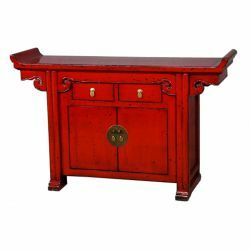 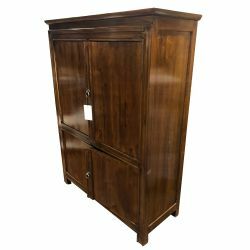 They are TV furniture, furniture accessory, or threads, their lines and their features will appeal to you. 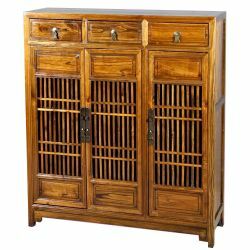 Buffets chinese There are 82 products. 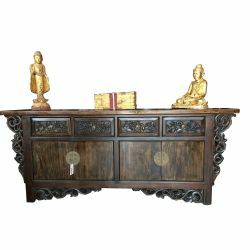 Grand buffet, chinese antique carved solid elm.Each interior volume is separated by a shelf and makes storage optimal.Dimensions: L226 x P46 x H92 cm. 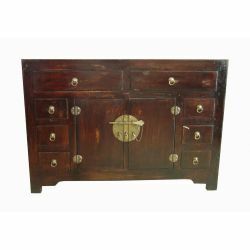 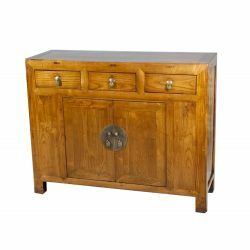 Chinese Buffet in solid elm with 8 drawers and 4 doorsDimensions: L167 x P44 x H84 cm.